"It is very quiet , we can’t hear it at all. and the air quality is fantastic." Whether you are refurbishing your home or undertaking a newbuild Passivhaus project, we can offer the support and advice you need to make your energy efficient project a reality. Green Building Store offers a wide range of products and services, including triple glazed timber & alu-clad windows and doors (everything from inward & outward opening windows, entrance doors, French doors, lift & slide doors to bi-fold doors) and advanced MVHR heat recovery ventilation, specialist airtightness & insulation products, water saving WCs & urinals, and consultancy and building services. As a small specialist company with over 20 years’ experience of working on low energy homes and buildings, we combine technical expertise with outstanding personal service and aftercare. From our FREE talks and resources to full consultancy service and product support, Green Building Store will be one of your project team. 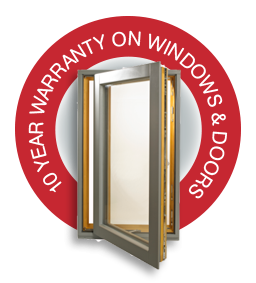 Get a quick, no obligation quote for our triple glazed windows & doors. Thank you. We couldn’t be more impressed with the service we’ve had throughout from Green Building Store. You’ve been absolute professionals, really easy to deal with and all-round lovely folk! 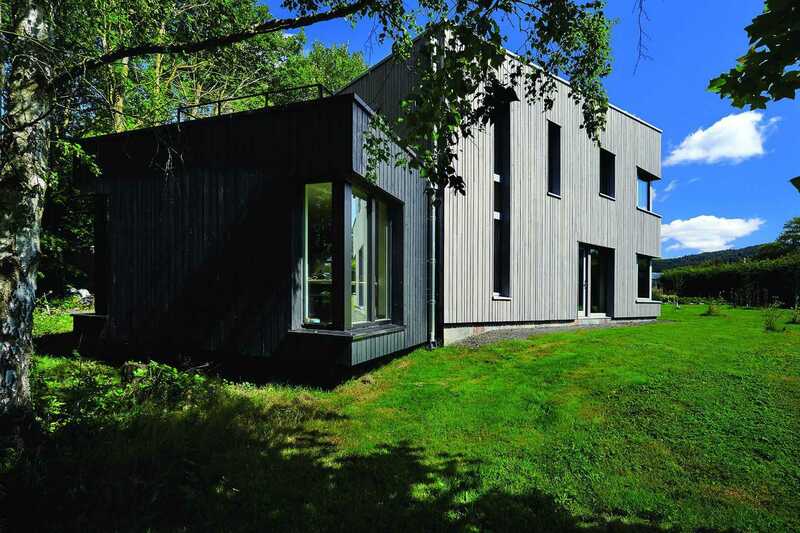 We specified the PERFORMANCE range because of its excellent value for performance and also because of the quality of Green Building Store’s customer service. We did some cost comparisons and these windows came out really well compared to competitors. Green Building Store is also very easy to work with and really supports us throughout the whole specification process. During the whole of our major house refurbishment Green Building Store was the best company we dealt with, and indeed probably the best company we have ever dealt with in our life. We specify Green Building Store’s PERFORMANCE range of windows and doors regularly because they offer a good balance between cost and performance. They look great in our new office – we’re really thrilled with them. 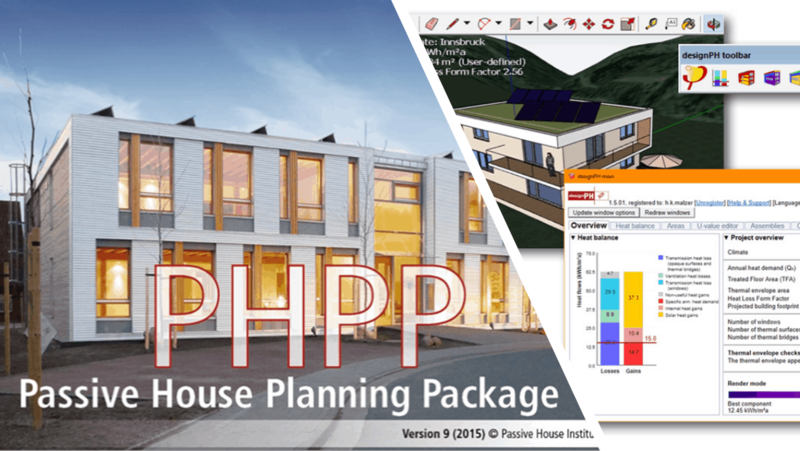 For me, achieving full Passivhaus certification on a retrofit project is the pinnacle of 20 years’ work and coincides with the length of my relationship with Green Building Store. 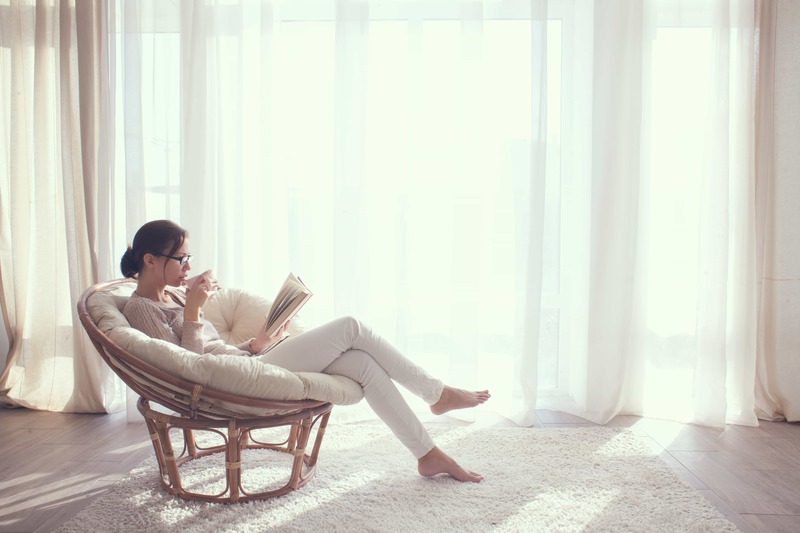 Their products are often my first choice – not just because they offer excellent products but because their customer support – including the MVHR design service – and aftercare is second to none. Green Building Store’s AfterSales team were excellent …We really got the feeling that Green Building Store were on our side and batting for us. They have been a nice bunch of people to deal with. I enjoy working with Green Building Store and Green Building Store windows and doors are our go to specification for high performance windows and doors. The combination of performance, cost and service is great, and difficult to find elsewhere. We got a lot of technical advice and support from Green Building Store throughout our project. They are a really nice bunch of people and it has been a good experience to work with them. Many thanks for the advice and care in designing the MVHR system. I’ve seen architects saying that Green Building Store are the most experienced suppliers in this field, but what they don’t say is how helpfully that expertise is provided. Green Building Store were very helpful to deal with and very patient when I had to tweak the plans prior to ordering. I have already recommended Green Building Store to two other friends, who have been very happy with their windows as well. Green Building Store’s customer service was really good… We now specify windows from Green Building Store at every opportunity. It is good to be able to work with a supplier we can trust. We have a lot of previous experience of working with Green Building Store for MVHR design and supply and like working with them. The PERFORMANCE windows are everything we wanted. They look great and we have not had any problems with them at all. We are really happy with our PERFORMANCE windows and doors. They look great and passers by have even asked us about them! The customer service has been amazing and the whole company and everyone we have dealt with have been a delight. The window fitting team were exceptional and really helpful on site. Once the triple glazed windows were installed the house was immediately much warmer and more comfortable. 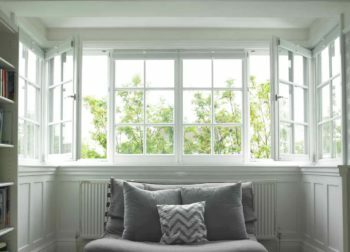 The inside pane remains warm to the touch, which means that you don’t get draughts falling down the glass and into the room. I have worked with Green Building Store for many years, I’ve used them for my own home and I appreciate not just the products themselves but the helpful and supportive back-up. We found everyone at Green Building Store to be very helpful throughout the project. They gave great advice and support, which was invaluable to novice self-builders like ourselves. Green Building Store’s PERFORMANCE range offered the high performance we needed, combined with affordability. We got far more input from Green Building Store than we would get from other window suppliers and they very much worked with us as one of the team. Cost-wise ULTRA came out better than other timber ranges we had quotes for and also the ULTRA windows looked aesthetically better than other similar options. Sign up to get interesting monthly news and updates delivered to your inbox.